We were sent a worry plaque from The Irish door company so my son and I tested it. Please check out our video on YouTube. It came with its own beautifully designed box and inside the worry plaque ( battery not included ) and a free car freshener. 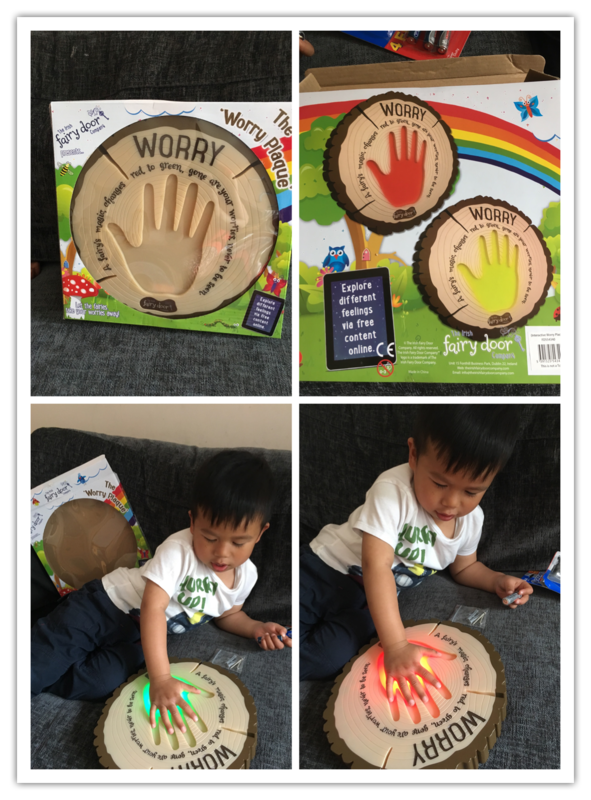 You need 3 AA battery and as soon as we put battery in the worry plaque, it will light red and green if you put your hand in it. My son had fun singing the nursery rhyme: finger family song as he touched the plaque fingers one by one, he loves it. Sammy is only 3 so didn’t fully understand the “worry side” of it but my 5 year old does, he loves to put his hand in it and believes that the fairy will take his worries away. It’s interactive and a good way to reassure children and comfort them. I would definitely recommend this product to parents who has a child with fears or worries about anything e.g. flying, spiders, falling out with friends or if they are afraid of the dark it could be helpful to put this at their bed side. The Irish Fairy Company were kind enough to send us one of their Fairy doors to review (see our review here) and one of their worry plaques as a giveaway! Giveaway open to uk residents only and runs from midnight on the 1st June 2017 until midnight on the 23rd June 2017. Winner will be chosen at random and notified by email. We reserve the right to amend this giveaway if needed.